Water never tasted so good. 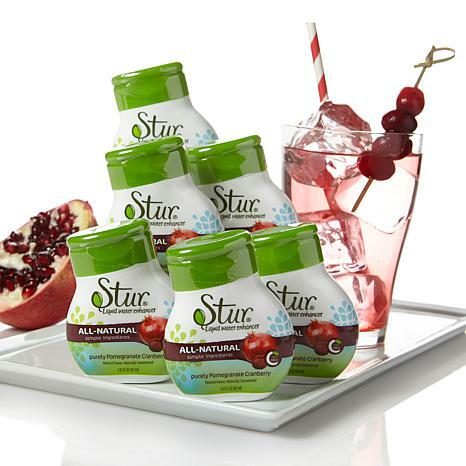 "Stur" in a little or a lot and fancy up your H2O with fun and fanciful flavors. It may become your drink of choice. 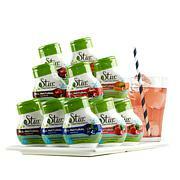 Nutrition facts: Serving size: 2ml (1 squeeze in 8oz water), Servings: approx. 20, Amount per serving: Calories 0, total fat 0g (0% DV), sodium 0mg (0% DV), total carb 0g (0% DV), sugars 0g, protein 0g, vitamin C 100%. Not a significant source of fat cal, saturated fat, trans fat, cholesterol, fiber, vitamin A, calcium, iron. percent daily values (DV) based on 2,000 calorie diet. Contains 0% juice. 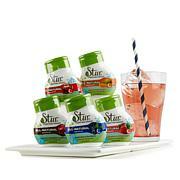 Ingredients: Water, natural flavor, citric acid, ascorbic acid (Vitamin C), vegetable juice (color), natural stevia extract. 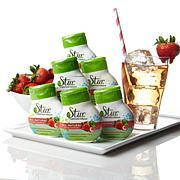 I expected to like this since I have used different versions of Stevia for years. Not so This is the worst tasting stuff. Threw it out.